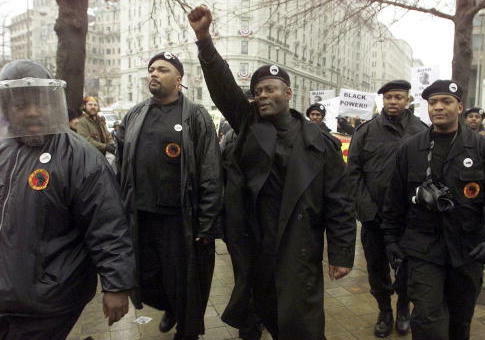 The Fraternal Order of Police, the largest organization of sworn law enforcement officers with over 330,000 members, sent a letter to President Donald Trump last week expressing "outrage and shock" that the National Park Service would fund a project honoring the legacy of the Black Panther Party. "Mr. President, as far as we are concerned the only meaning they brought to any lives was grief to the families of their victims," wrote Chuck Canterbury, the national president of the Fraternal Order of Police. "According to our research, members of this militant anti-American group murdered 16 law enforcement officers over the course of their history. Among their victims was U.S. Park Ranger Kenneth C. Patrick. He was murdered in cold blood by three members of the Black Panther Party on 5 August 1973. His killer, who remains behind bars, still considers himself a Black Panther and a ‘political prisoner.'" "It is appalling that the National Park Service, Ranger Patrick's own agency, now proposes to partner with [Berkeley] and two active members of this violent and repugnant organization," Canterbury said. "At a time when many in our nation feel strongly that memorials to aspects of the darker times in our history be removed from public lands, why would the NPS seek to commemorate the activities of an extremist separatist group that advocated the use of violence against our country—a country they perceived as their enemy?" Canterbury asked. "This is a despicable irony and we hope you can bring it to an end by halting [the grant] immediately." Jeremy Barnum, a spokesman for the National Park Service, confirmed to the Free Beacon that the project would not receive funding from the agency. This entry was posted in Issues and tagged National Park Service. Bookmark the permalink.